Right in time for the festive season we received wonderful news from our little adoptive “child” – Peanut. The five-year-old orangutan has truly settled into life at the Outdoor Nursery at Sepilok, Borneo. 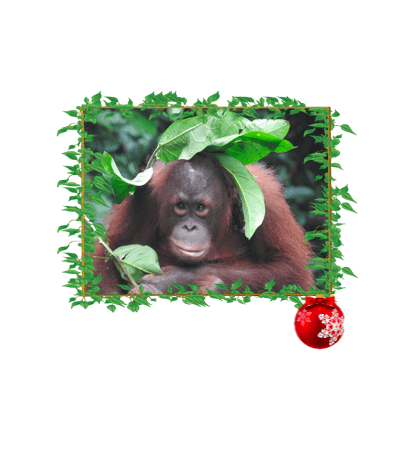 Although, In the beginning he was very wary of many of the older orangutans he has now developed close friendships with some of the semi-wild males. Peanut will even seek out the biggest and most boisterous of his friends to enjoy a good play-fight with. When his Nursery-mates Goman and Bidu-Bidu leave to explore the forest Peanut is eager not to be left behind and will follow after them, much further than he would usually go on his own. 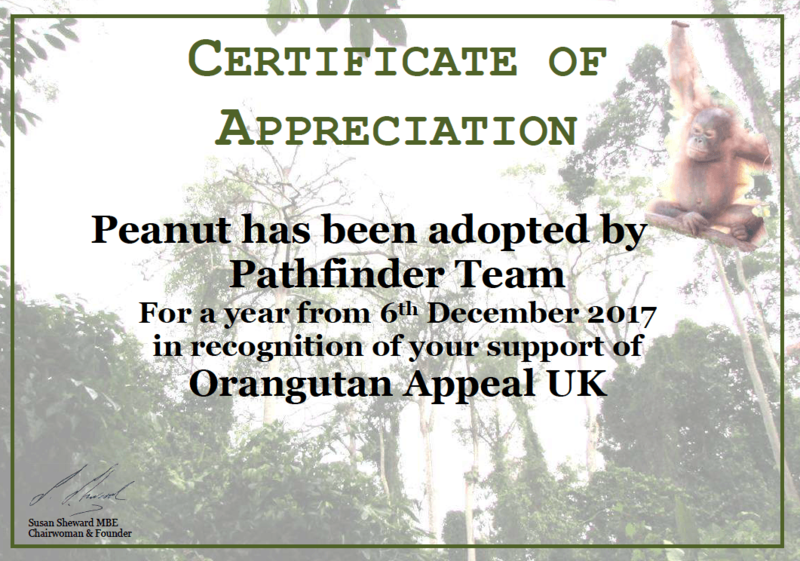 We are very happy about this development and will continue to support Peanut and the wonderful people of Orangutan appeal UK the Sepilok rescue centre in Borneo.